Sorry about your day! I am sure by the time Will gets home on Saturday I will be pulling my hair out! I don't know how you do it all the time. Hope Ken made it home okay. Love you guys! Alli! 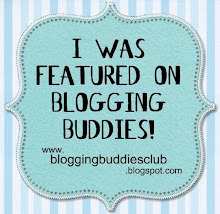 I love your blog, it's super cute and you're a great blogger :) I had one of those "REALLY?" days not to long ago... hopefully they won't plague us for a long long time!